Join your fellow Mavericks for a road trip to Austin to cheer on the men's basketball team when it plays UT Austin. Ticket prices include transportation to and from the game, one ticket to the game, one UTA T-shirt, and one pompom. Faculty, staff, and alumni tickets are $30 each. Student tickets are $15 each. Single tickets must be purchased by Sunday, Nov. 27. LEARN MORE. Starting in the 2016-17 season, all men's home basketball games and men's/women's double-header home games will offer paid parking in the College Park garages beginning an hour and a half before tip-off. Premium parking in College Park South is $10; $8 prepaid online. Select parking is $5 (no prepaid available) in College Park Central and North garages. Current UTA permit holders can park in Select or Premium lots including College Park North, Central, South, or other surface lots without paying to park. License plate recognition will be used to ensure an active permit is attached to the vehicle prior to entering the garage. Free game parking is available in lots 49 and 52 south of Mitchell Street. The Maverick men play Mount St. Mary's at 7 p.m. Wednesday, Nov. 23, at College Park Center. Bring three canned good to the box office for one free ticket. 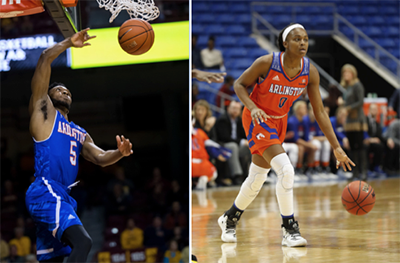 Read more sports news at utamavs.com. A bilingual forum on immigration is set for 6 p.m. Wednesday, Nov. 30, in the Swift Center. The Center for Mexican American Studies hosts the event, which will cover rights, relief, fraud prevention, Deferred Action for Childhood Arrivals (DACA), and Deferred Action for Parents of Americans and Lawful Permanent Residents (DAPA). 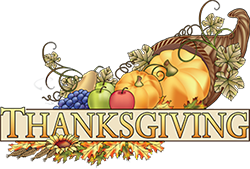 Students, faculty, and staff are invited to celebrate Thanksgiving dinner with President Vistasp Karbhari 5-8 p.m. today, Tuesday, Nov. 22, in the Connection Cafe. The dinner is free with a meal plan. Tickets are required without a meal plan and are $5 for students and $8 for faculty and staff members. For tickets and details, go to uta.edu/thanksgivingdinner. To volunteer, call 817-272-6080. Flu shots are $20 at the Health Services Center and are fully covered by student health insurance. The Immunization Clinic is open 8:30 a.m.-noon and 1-4:30 p.m Mondays-Fridays. 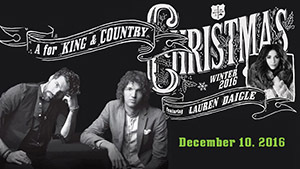 The Christian pop duo King & Country will be performing at 7 p.m. Saturday, Dec. 10, at College Park Center. Brothers Joel and Luke Smallbone will debut their new, original Christmas song Glorious, along with many treasured Christmas classics and four No. 1 singles from their latest album, Run Wild. The two-time Grammy Award winners have had songs featured on the Emmys, the Super Bowl, Sunday Night Football, the U.S. Open, and more. For tickets, visit utatickets.com. The Big Event—UTA's day of community service—needs site leaders. Apply online. The Big Event is Saturday, April 8. UTA complies with the Drug-Free Schools and Communities Act that requires institutions of higher education to design and implement alcohol and illicit drugs programs on their campuses. In compliance with the Act, the University has adopted and implemented a program to prevent “the unlawful possession, use, or distribution of illicit drugs and alcohol by students and employees” on UTA property or as part of any University activity. Students—Drug and alcohol counseling and referral services are available through UTA Health Services at 817-272-2771 or uta.edu/healthservices. Employees—Employee Assistance Program (EAP) is provided through UTA’s Office of Human Resources at 800-343-3822. For more information, contact UTA's Health Services at 817-272-2771 or uta.edu/healthservices. Wednesday, Dec. 7—Last day of classes. Saturday-Friday, Dec. 10-16—Final exams for fall semester.